$3.60 per 7" x 5" card. 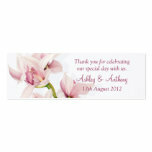 Soft and romantic pink, green, and white Cymbidium orchid floral photo wedding thank you card. 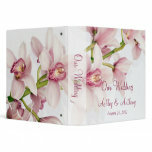 This is a pretty thank you card for an orchid themed wedding. 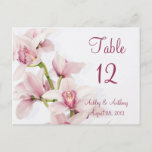 Elegant and beautiful, orchids are tropical flowers. 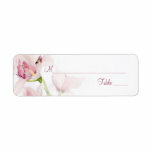 The engagement photo and the text can be personalized on the Zazzle website. 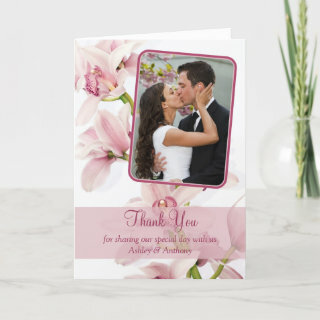 This photo thank you card is currently customized for a wedding, but would also work great for a bridal shower, special birthday, anniversary, or retirement. All you need to do is change the wording and photo.